Some people have highly successful lives and are then forgotten after they die. Others are failures during life, then turn into heroes after they die. Here’s a perfect example of the failure-turned-hero: the Hungarian doctor Ignaz Semmelweis (pronounced IG-nats SEM-mel-vice), who was born in 1818 and died in 1867, aged only forty-seven. He held a scientific key to saving thousands of lives, but the medical establishment of his day didn’t accept what he said. Instead, the establishment alternately attacked and ignored him. Semmelweis was not only called a fool and a lunatic: in the end, he was actually sent to a lunatic asylum, where he may have been fatally injured almost as soon as he arrived. What caused all this trouble for Semmelweis? He was trying to stop a serious medical condition called puerperal fever, or childbed fever, which often killed women soon after they gave birth. But he might never have become a doctor in the first place. He was born to parents of German origin in what is now the Hungarian capital Budapest. At university, he first studied law, then switched to medicine for reasons that are now lost to history. When he started work as an obstetrician at Vienna General Hospital in 1846, he was concerned by the big difference in death-rates between the two maternity clinics that ran there. In one clinic, a horrifying 10% of women died of childbed fever; in the other, far fewer did so. What was going on? 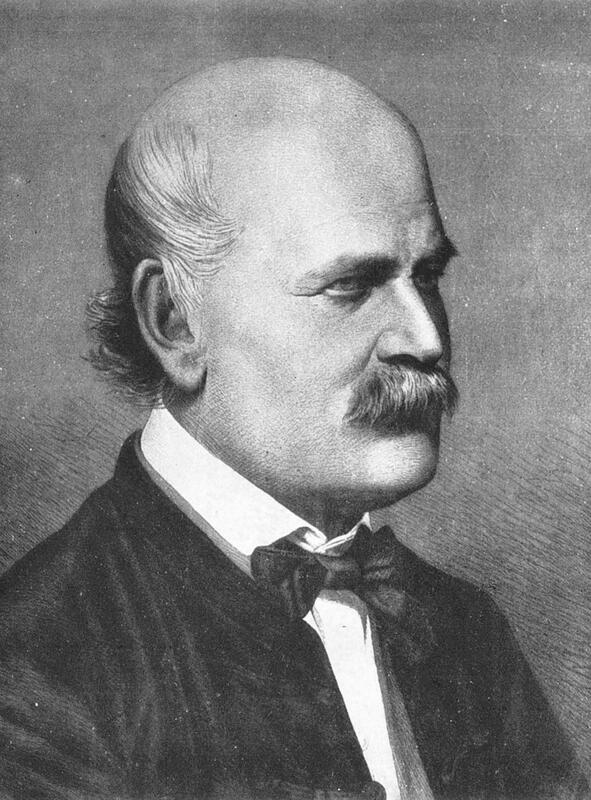 Semmelweis began to look for differences between the two clinics. The dangerous clinic was staffed by medical students, the safe one by midwives, and Semmelweis decided that this difference was the root of the problem. Unlike the midwives, the medical students were attending women after conducting autopsies in a nearby dissecting room as part of their training. Semmelweis decided that their hands were being contaminated with some poison by the corpses they were dissecting, so he introduced a policy of handwashing for the students. He seemed to be proved right at once: the death-rate in the first clinic dropped hugely, because far fewer women were catching childbed fever. Semmelweis had discovered the key to defeating a very dangerous and common condition, but he soon learned that the medical establishment wasn’t going to accept his findings. The trouble was that while he had very strong evidence that handwashing worked, he couldn’t explain why. In those days, doctors didn’t understand that disease was often caused by bacteria and other microscopic life-forms. Instead, they thought bad air, faulty digestion, displaced organs and so on were to blame. Today we understand that dangerous bacteria rapidly multiply in corpses and that handwashing in chlorinated water kills them. In the middle of the nineteenth century, this was unknown. Semmelweis spent the rest of his life trying to persuade maternity hospitals in Europe to adopt his simple procedure: doctors should wash their hands carefully before examining patients, particularly if they have been dissecting corpses. He was helped by some of his students, but he had little success in changing standard practice. In 1850 he was dismissed from his job in Vienna and returned to Budapest, where he took charge of another maternity clinic and again drastically reduced deaths from childbed fever. His handwashing procedure clearly worked and would have saved countless lives if it had been adopted more widely. Unfortunately, the medical establishment didn’t like new ideas and didn’t like being criticized by an obscure Hungarian doctor. Semmelweis was ridiculed and ostracized. His mental health suffered under the strain and he may have also caught syphilis from a patient during his medical work. He began to behave more and more strangely and in 1865 he was sent to a lunatic asylum. He tried to leave, but he was beaten by guards and subject to other cruel treatment. Within two weeks, he was dead. He was buried without honour and his ideas seemed to have died with him. Then came the work of the French scientist Louis Pasteur, who proved that micro-organisms were responsible for many diseases and for other natural phenomena like fermentation and decay. It was now clear why Semmelweis’s handwashing procedure worked and why it was so successful. His reputation, which had been in the gutter when he died, was slowly restored. Today, several hospitals are named after him and there is a museum devoted to his life in Budapest. Semmelweis is honoured as a hero of medicine, someone who struggled to save lives no matter what the cost to himself and his own career.